We love Tucson and feel very lucky to live here and serve this great community. Whether you've lived in Tucson your whole life, you're considering making a move here, or you're just admiring us from afar during your snowpocalypse, this information is for you. Tucson has so many great things going for it. It's like the golf capital of the world. The golf courses and greens here in Tucson are unreal! You'll find people out there in the mid heat of August golfing a full 18 holes or more. We are also one of the highest rated cities for retirees. Basically that means this is the place to go if you're gonna retire. When it rains here... whoo-whee! It comes down! We have something called monsoon season which runs approximately mid-June probably to towards the end of August. This is basically where the heavens open up and dump right on us from above. The great thing about the monsoon season is it only lasts for a couple of months and typically for the entire year we have sunshine. The desert in Tucson is so unbelievably breathtakingly beautiful. It almost is slightly ridiculous. 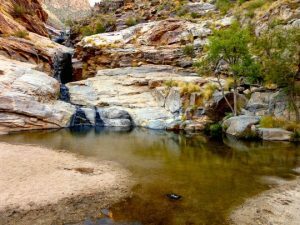 Whether you've been to Romero Pools, whether you've visited Sabino Canyon, all of the hikes and outdoor adventures that you can experience here in Tucson are just simply magnificent. People joke around all the time in Tucson that we are completely surrounded by mountains, and we really are. And they're spectacular. We hands-down have the best Mexican food outside of Mexico. Tacos floutas, enchiladas. Tucson became the only place in the United States designated a City of Gastronomy by the United Nations Educational, Scientific and Cultural Organization, known by its acronym, UNESCO. So yeah, we've got some good eating! Let's talk about our animals shall we? Yes, we have creatures... a lot of them. However if you respect them, they typically will respect you. Things like rattlesnakes, gila monsters. 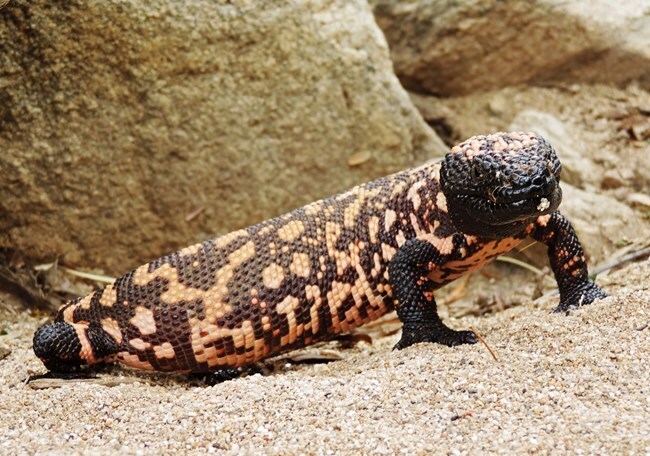 People outside of Arizona I don't even think know what a gila monster is. If you see one, run! If they bite you they won't let go. 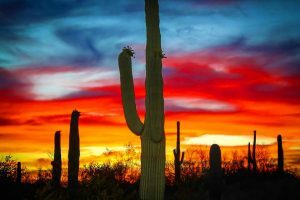 Other great places to check out with the family: We have Old Tucson (partnered with the Arizona Sonora Western Heritage Foundation), the Sonoran Desert Museum as well as the Tucson Zoo at Reid Park, the Tohono Chul Park Tea Room, the Tucson Botanical Gardens, the Biosphere 2, San Xavier Mission, 4th Avenue Street Fair. Tucson's Hotel Congress, where the infamous John Dillinger was captured and where we celebrate Dillinger Days every year. The Tucson marathon is one of the most beautiful race courses in the entire world. The race course isn't for the faint of heart. However, coming across that 26.2 mile finish line, the race course will leave you breathless. Tucson has one of the top cycling communities in the country, so just get on your bike, start pedaling. 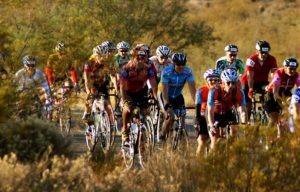 If you're a bicyclist you can participate in one of the most world-renowned cycling events, the 107 mile ride in the El Tour de Tucson. With the University of Arizona Wildcats here, we are a large college town and if you're caught wearing an Arizona State University hat or t-shirt in a grocery store, you're cruisin' for a bruisin'. The Tucson International Mariachi Conference is also here... Which is just another cool fact. The great thing about Tucson is it has a little bit of everything for everyone. If you want to find out more about local community spots and things that you should do and must-see sights here in Tucson, just come visit. You won't be disappointed.